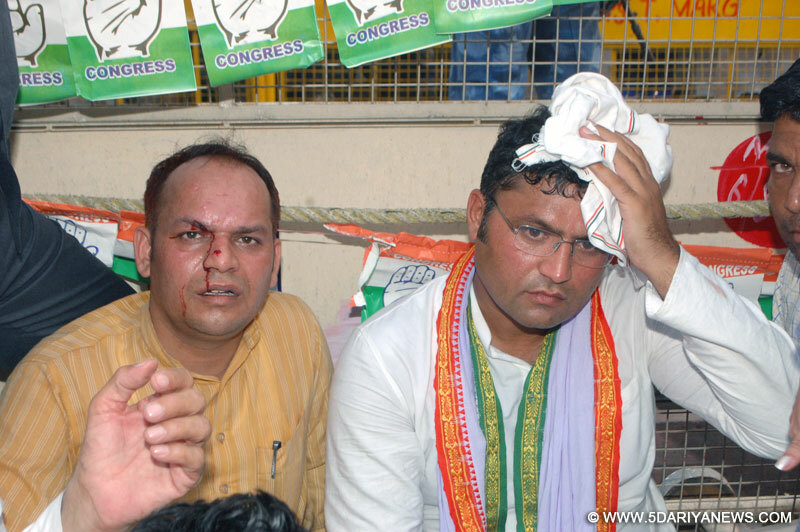 Haryana Congress chief Ashok Tanwar sustained injuries on Thursday following a clash between his supporters and those of former Chief Minister Bhupinder Singh Hooda on a day Congress Vice President Rahul Gandhi ended his Kisan Yatra.Tanwar was taken to Ram Manohar Lohia Hospital where was given medical treatment. "Tanwar was seriously injured and was vomiting. That's why he has been kept under observation in the ICU," RML Hospital spokesperson V.K. Sinha told IANS.He said that the requisite tests will be performed on Tanwar. Sinha also said 12-13 Congress workers had also been brought for treatment and were given first aid. The clash took place between supporters of two leaders near Bhairon Mandir, which was a meeting point ahead of Rahul Gandhi's rally at Jantar Mantar. Gandhi was addressing a rally at the Jantar Mantar in the national capital at the end of his Kisan Yatra that took place in election-bound Uttar Pradesh.